Nurses rank top in Americans’ minds for the seventeenth year-in-a-row, Gallup found in its annual survey of honesty and ethics in professions. 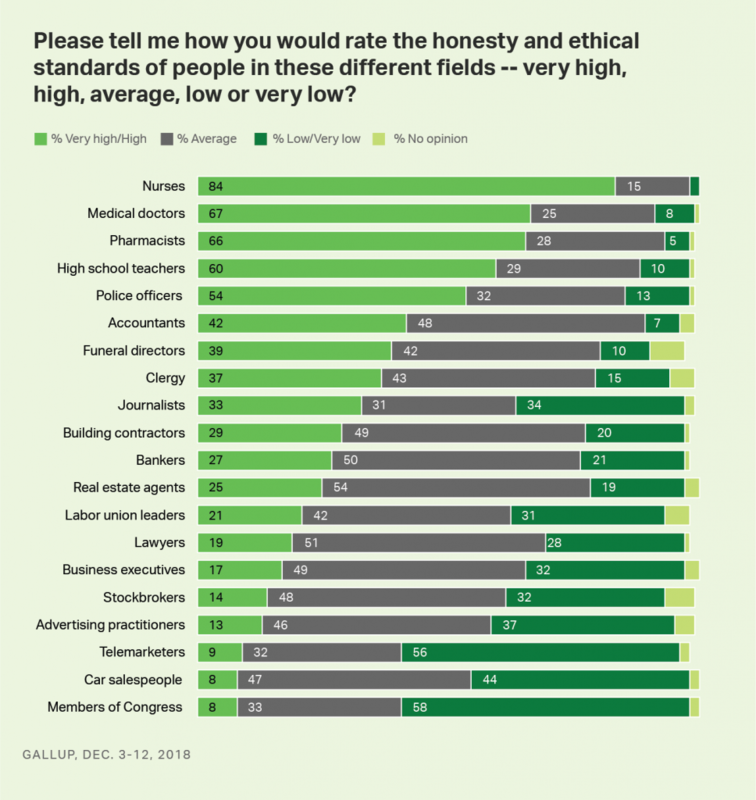 At the bottom of the list for honesty and ethics in 2018, Gallup points to U.S. Congressional representatives, “Mad Men” and Women of advertising, telemarketers, and folks who sell autos.Congress-folk and car salespeople have ranked at the low-trust bottom for many years in this Gallup poll. 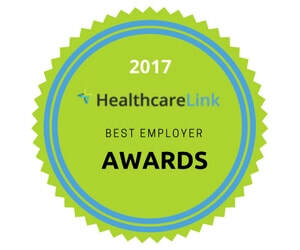 While the three health care professions rose once again to the top of the job-trust roster, nurses rank far greater than doctors and pharmacists by a 17-point margin of consumers rating the nursing profession with very high or high ethics (among 84 percent of all Americans). Doctors and pharmacists were virtually tied with two-thirds of U.S. consumers saying they rank very high or high on the honesty scale. Note that last year, pharmacists dipped to an historic low in this poll, compared with a high bar set in 2013. Gallup conjectured that in 2017, some consumers were associating pharmacists with contributing to the opioid addiction crisis. Gallup also notes that journalists’ ranking improved by 10 percentage points since 2016, while clergy’s perceived honesty and ethics have continued to decline over the past twenty years. It cannot be overstated that nurses in America are the most beloved profession in and outside of the health care industry. As the sector learns how to be more consumer and patient focused for customer experience, health care providers would be wise to leverage this highly-valued touch point. Whether in face-to-face health care, virtual/telehealth modes, or call centers, patients love and appreciate nurses. “Nursing is at the heart of health care,” the 2018 National Council of State Boards of Nursing report on nursing supply in 2018 attested. But as beloved as nurses are, there is a shortage projected as "Baby Boomers" age and, at the same time, there aren’t enough faculty to teach nursing students. As a result, over 64,000 qualified nursing school applicants were turned away from colleges in 2016 according to the American Association of Colleges of Nursing.